MRM’s News Bites features Snag, Krispy Kreme and Insomnia Cookies, Gather and Yelp, LevelUp and Playfull, Dinova, Preoday and Tookan, The Palm Restaurant Group, Grubhub, DTS and SoundMachine, The 5700 Inc., Eatigo and TripAdvisor, Tropic Sri Lanka and Friend of the Sea, Live Nation and The Impossible Burger, Heston Blumenthal and Everdure and Beyond Meat. 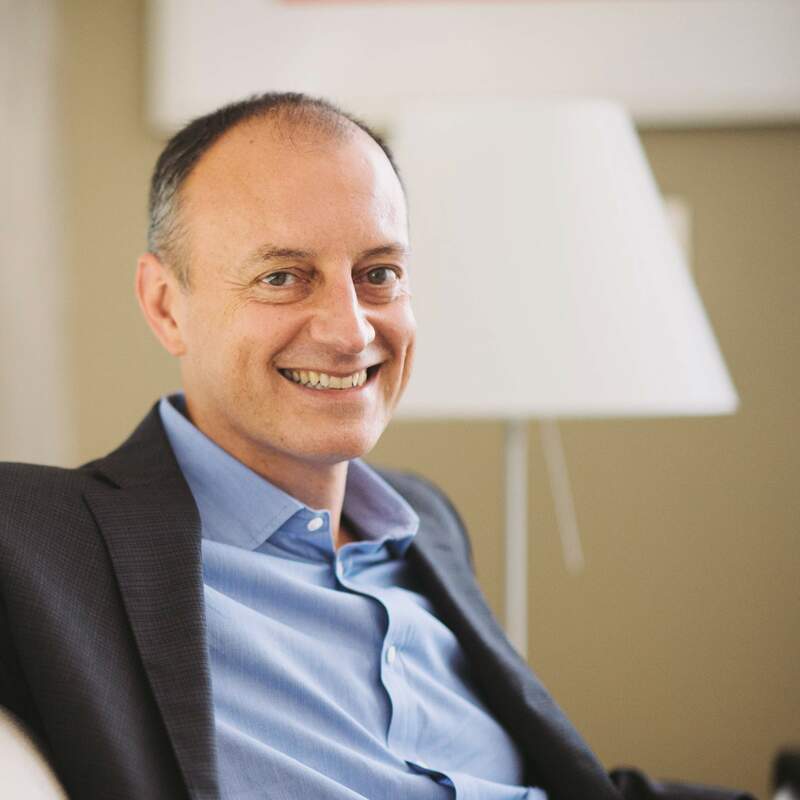 Former Upwork CEO Fabio Rosati was named Snag’s Chairman and CEO. Rosati was CEO of Elance, which later became Upwork, from 2001 to 2015. Under his leadership, Upwork became the world’s largest gig economy platform for skilled work with 14 million users in 180 countries and more than $1 billion in annual billings. Snag has connected more than 60 million active job seekers with employment opportunities at 300,000 employer locations in the US and Canada. Krispy Kreme will acquire a majority stake in Insomnia Cookies. Terms of the transaction were not disclosed. Insomnia Cookies will continue to operate as an independent, standalone company following the close of the transaction in the fourth quarter 2018 and Seth Berkowitz will continue to lead the company. Gather launched partnership with Yelp, as part of its new program, the Gather Booking Network, connecting restaurants and event venues with the over 15 million people looking to plan events each year. With more than 100 million unique visitors per month, “Yelp is a go-to destination for people looking to find great places to eat, drink and celebrate, making it the ideal partner for Gather,” said Miller. By promoting venues where planners and consumers already discover and book events, the more than 5,000 restaurants and venues that use Gather’s software will now be able to generate more leads to grow their events business. New partners will continue to be added to the Gather Booking Network, including top online event marketplace EVENTup, which Gather recently acquired. LevelUp is teaming with Playfull, an app that uses games to increase the frequency and volume of digital orders at restaurants. Playfull is the newest ordering channel through LevelUp Broadcast, a service that allows restaurant operators to reach new customers within the social and digital channels they use most, including Yelp, Amazon Alexa, and Chase Pay. LevelUp’s restaurant partners now have access to a new community of users engaged in the gamified Playfull experience. LevelUp’s restaurant partners can receive Playfull orders directly through their point-of-sale from LevelUp Broadcast. The unique experience of playing games, earning rewards, and redeeming rewards increases customer frequency 3.6X and can result in a five- to ten-percent lift in sales. Dinova, Inc., said Jersey Mike’s Subs is the latest national brand to join its network. The addition of Jersey Mike’s means Dinova’s marketplace now exceeds 16,000 restaurant locations nationwide. Preoday has integrated with US-based delivery management platform Tookan, improving delivery services with optimized routes and real-time tracking. JungleWorks has integrated Tookan’s delivery management platform with Preoday’s online and mobile ordering platform. It enables food and retail business to manage deliveries seamlessly. It also helps companies to communicate smoothly with customers and to take data-driven business decisions. Nick Hucker, CEO of Preoday added, “The partnership is a good fit: both companies are ‘technology first’, with teams made up of B2B technology specialists. 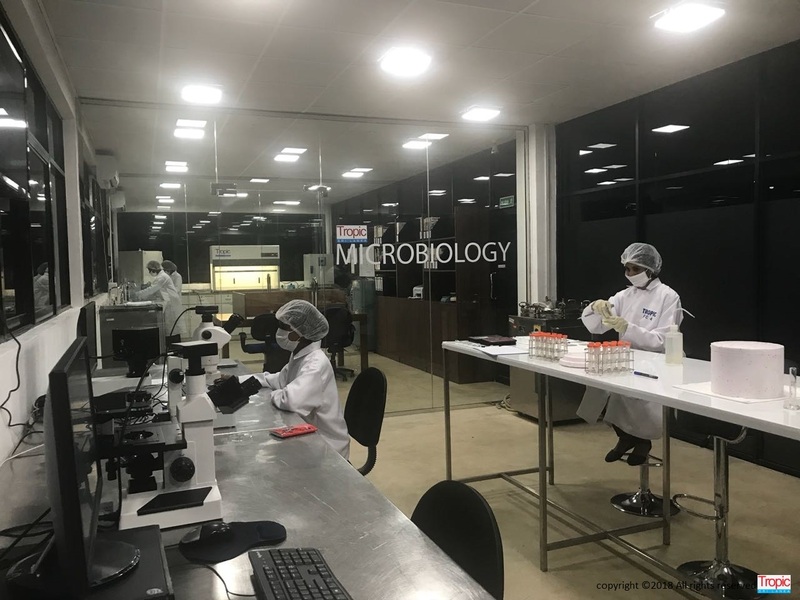 We are both used to working with clients and partners of all sizes for the long-term; we are as comfortable working with multinationals with complex procurement procedures, as with individual takeaways. The Palm Restaurant Group named Jens Baake as the company’s Chief Operating Officer. 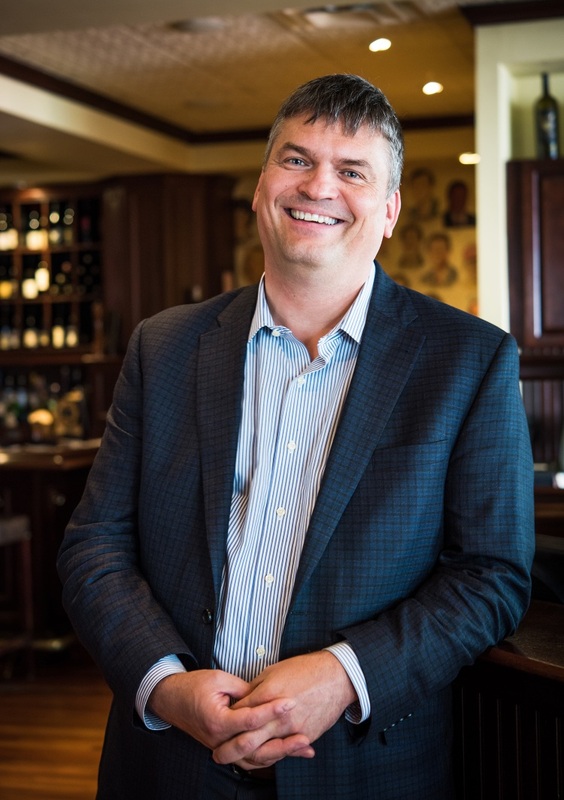 Having led the operations for various high-profile restaurant concepts, including a New York Times Three Star and Michelin Star restaurant, he brings three decades of proven experience developing a guest-focused culture. In addition to overseeing the operations of world-renowned restaurants, his background includes food halls, commissaries, and neighborhood bakeries, as well as large-scale food and beverage and entertainment ventures. In recent years, Baake served as COO of Meyers USA, and has previously held leadership roles at Foxwoods Resort Casino (where he supervised three different steakhouses), Ameristar Casino, Landry’s Restaurants, and Walt Disney World. In his new role, Jens will oversee the operations of all of The Palm locations. After completing a culinary degree in Germany, he moved to the United States in 1989 to complete his studies in hospitality management and earned a master’s degree from the University of Massachusetts at Amherst in 1995. Grubhub has expanded its delivery capabilities to dozens of additional markets across 17 states, opening up local restaurants to new customers and providing diners with increased restaurant choice and variety. From local favorites like The Planing Mill Artisan Pizzeria in Visalia, California and Cherry’s Jamaican Delight in Reading, Pennsylvania to larger national and regional options such as Buffalo Wild Wings and Applebee’s, Grubhub has partnered with a range of restaurants to provide diners with the largest variety to order delivery from. DTS, a wholly owned subsidiary of Xperi Corporation is partpartnership between DTS® Play-Fi® and SoundMachine’s subscription-based service. The partnership gives business owners the ability to play commercial background music in their stores, restaurants, hotels, spas, or other locations through DTS Play-Fi-enabled products. Commercial users will receive a free 30-day trial through the DTS Play-Fi app. Get ready to experience the first brewery of its kind to offer an unapologetic stance on veganism, alongside quality craft brews and great eatsLocated at the intersection of Queen and Brock in Parkdale, Vegandale Brewery is offering Torontonians the chance to get their daily dose of morality, straight from the tap. Partnering with one of the founders of Mill Street Brewery, Michael Duggan, to produce the in-house beers, these carefully crafted small-batch brews will take on an ethical twist in an effort to promote veganism to the masses. Guests will enjoy options like Principled Pilsner, See the Light Lager, The Sour Truth, and Morally Superior IPA. Vegandale Brewery is the first all vegan brewery to offer patrons a 100-percent vegan food menu. With over 100 seats in the restaurant, they’ll be dishing out the very best in saucy and cheesy comfort food that’ll pair best with a nice cold one to wash it all down. The 5700 Inc. is a growing hospitality and events company, powered by veganism. 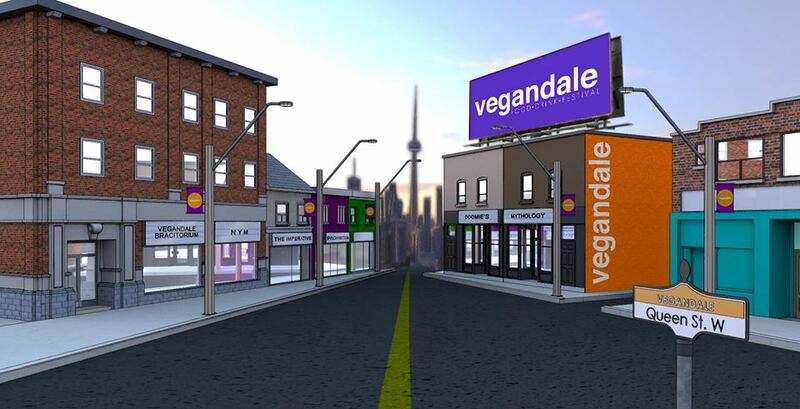 The company owns and operates the international Vegandale Food Drink Festivals, as well as Toronto’s popular Vegandale neighbourhood, which is currently home to three vegan brands (Doomie’s Toronto, The Imperative & Mythology) and will expand to a collaboration of seven storefronts by the end of 2018. Eatigo, the leading restaurant reservation platform in Southeast Asia, has received a follow-on investment from its existing strategic investor, TripAdvisor, bringing its total raise across all its investors to date to over US$25M. The pre series C investment for Eatigo comes as TripAdvisor’s restaurants business unit and its subsidiary, TheFork, look to help expand Eatigo’s presence and services across the Asia Pacific region. On the heels of an entry into Hong Kong, the Philippines, Malaysia and India in 2017, Eatigo will use the funds to launch in several more markets and extend its product offering. Over the past year, the company has grown rapidly to claim a leading position in every market it operates in. The Negombo-based company has recently launched an innovative project named “FCP@SEA” in collaboration with the Sri Lanka government and the private sector. 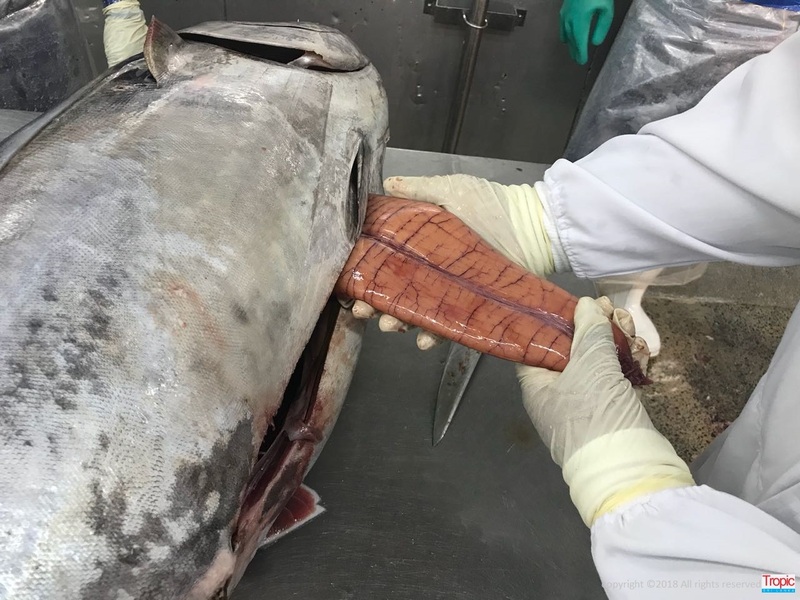 The initiative aims to improve recruitment rates through assisted reproductive technology, thereby allowing a second generation of yellowfin tuna to return back to the ocean. For the 2018 summer concert season, Live Nation has introduced the Impossible Burger to 37 owned and operated amphitheaters in the U.S. making this the first time the plant-based burger has been offered in a concert space. As part of our ongoing commitment to enhance the fan experience at all Live Nation venues, this partnership is an important first step toward curating a more climate-friendly menu while providing fans with options that fit a variety diet and lifestyles. The offering is a continuation of Live Nation’s dedication to responsible food sourcing. 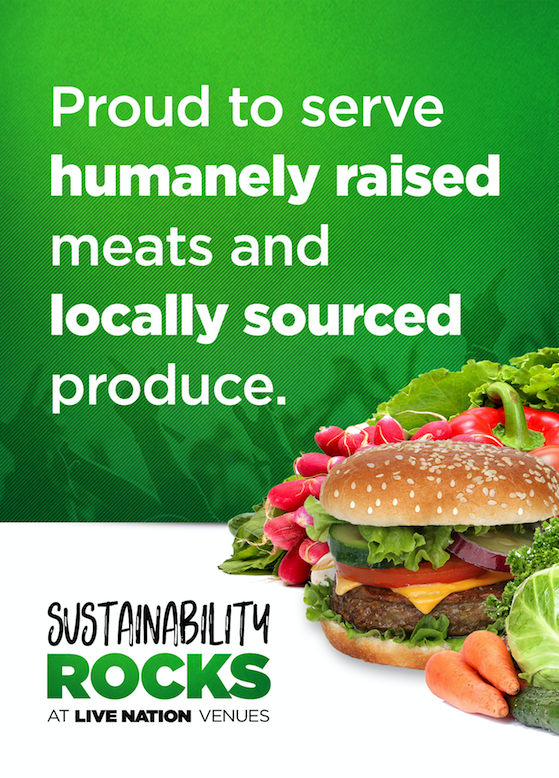 Since 2014, Live Nation has sourced only humanely raised meats and locally grown produce for our amphitheaters. Live Nation has also implemented venue-wide compost programs as a way to reduce emissions and is committed to reducing waste at our owned and operated amphitheaters through an aggressive in-venue approach and is aiming to achieve Zero Waste in 20 of our owned & operated venues by 2020. 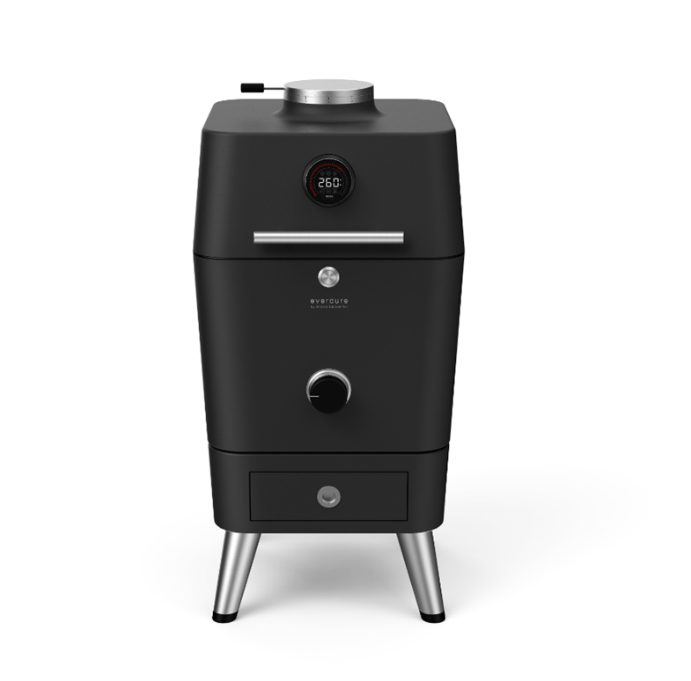 Six Michelin starred chef, Heston Blumenthal, has launched a new product within his range of Everdure by Heston Blumenthal grills. Four thousand years in the making, the 4K combines yesterday’s wisdom with tomorrow’s innovation. Following the successful launch of his award-winning line of grills with Australian company, Everdure, in Australia, Germany, the UK and US, the proprietor to five critically acclaimed restaurants in the UK, including The Fat Duck and Dinner by Heston Blumenthal, has released a new product within the range, the 4K, which will be available in the U.S. at the end of 2018. “The 4K really is the ultimate cooking solution for the outdoors, combining yesterday’s wisdom with tomorrow’s innovation. Its technology and cooking range is peerless. A fantastic cooking revolution for the outdoors. I’m always proud of the Everdure by Heston Blumenthal team and what they produce, but this has set a new bar,” said Heston Blumenthal. Armed with ambient and integrated probes to control both meat and air temperatures and linked with Bluetooth connectivity, the 4K not only cooks your meal but tells you how to prepare it. Home cooks around the world can experience the same level of culinary mastery as Chef Blumenthal with step-by-step guidance from their grill. From temperature control and suggested charcoal management to recipe guidance, the 4K enables any cook to succeed. Beyond Meat opened the doors of their new 26,000 square foot research and development center at the company’s headquarters. The new facility, which houses nearly 100 employees, is the new home to Beyond Meat’s Manhattan Beach Project, which is designed to bring together the world’s best scientists, engineers, food technologists, chefs and managers in service of a single goal: perfectly build meat directly from plants. The continued growth of the Manhattan Beach Project will create close to 50 new jobs over the next year. As part of its recruiting efforts, Beyond Meat is working with universities and research centers in the U.S. and abroad to identify the best and brightest scientists and engineers in their respective fields. 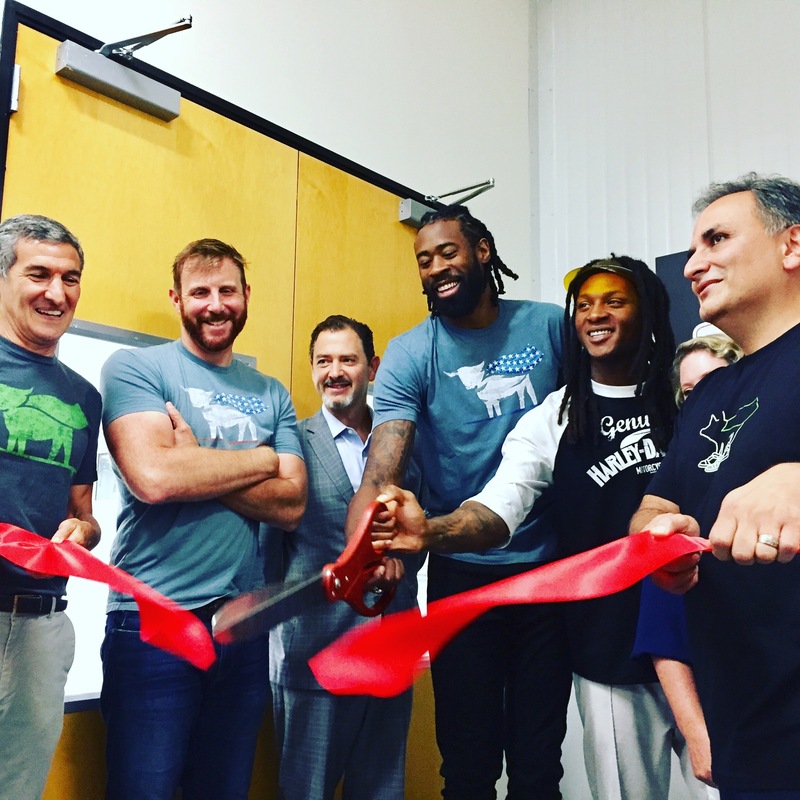 Recent new investors include DeAndre Hopkins, one of the NFL’s top-ranking wide receivers, who attended today’s ribbon cutting of the new facility to share his passion for Beyond Meat and making plant-based foods more widely accessible. “Beyond Meat’s products are a gamechanger and I’m honored to be here today as we mark this important milestone in the company’s history,” commented Hopkins. He joins a growing list of professional athletes that recognize the power of plant-based protein and are backing Beyond Meat including Tony Gonzales.